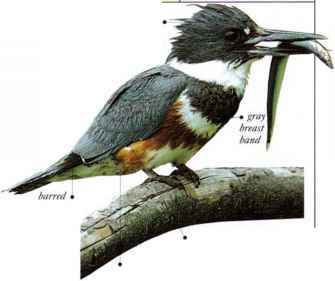 A furtive and retiring species, this bird occurs in rain forest and at forest edges, in lowlands and foothills. It clambers about in thick vegetation near the ground, feeding on insects and small invertebrates. This bird does not normally join the mixed flocks that hunt insects in the undergrowth. • NEST I'robablv of twigs and plant libers, the nest is at the end of a long burrow, which the bird digs in a bank. • Distribution From Mexico to Bolivia, and through the Guianas.